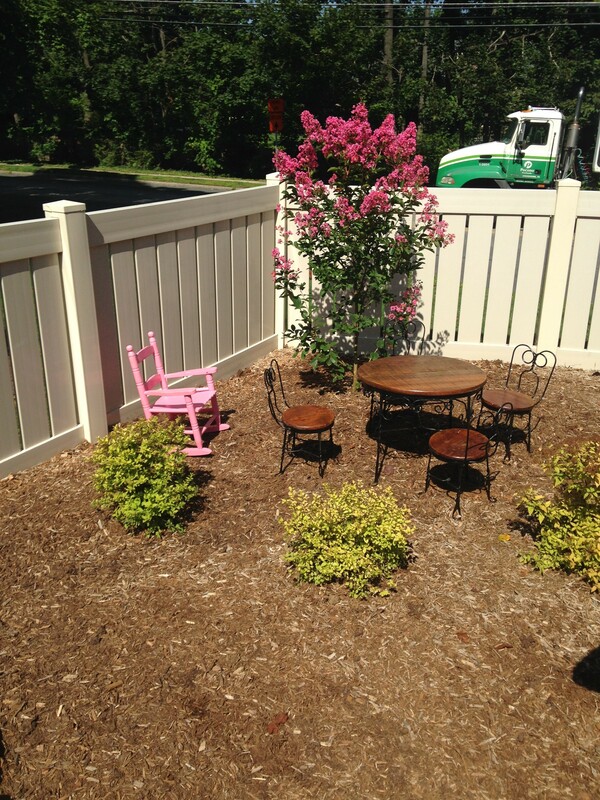 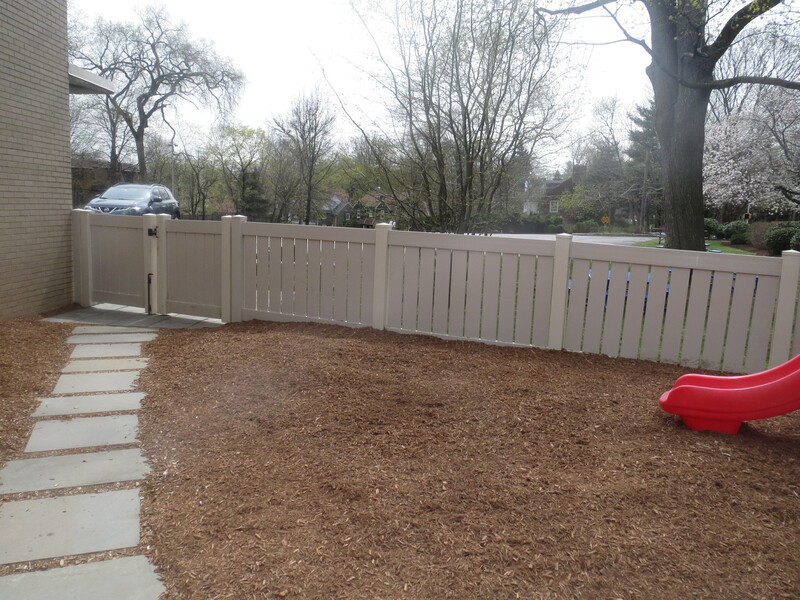 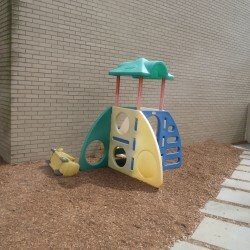 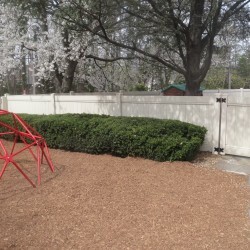 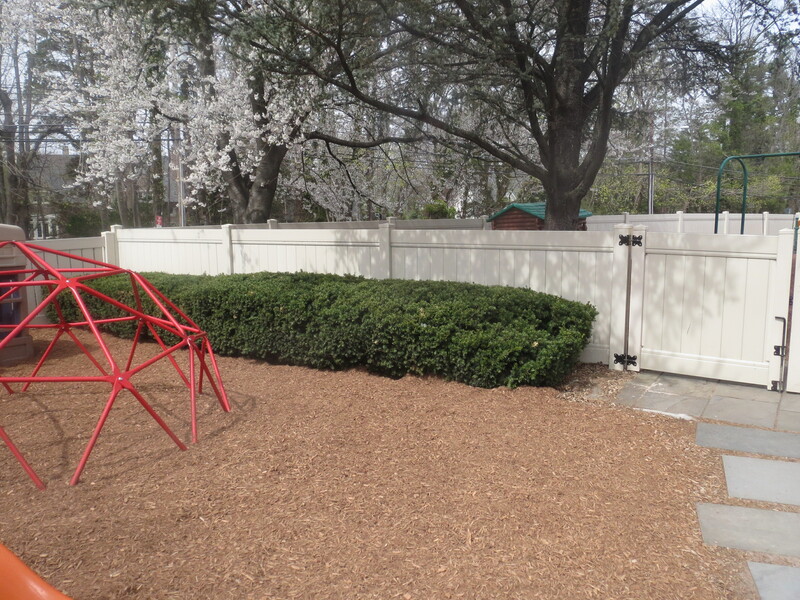 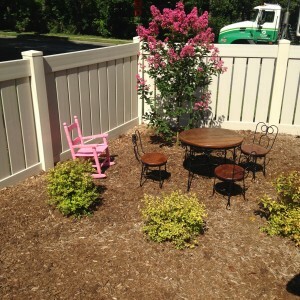 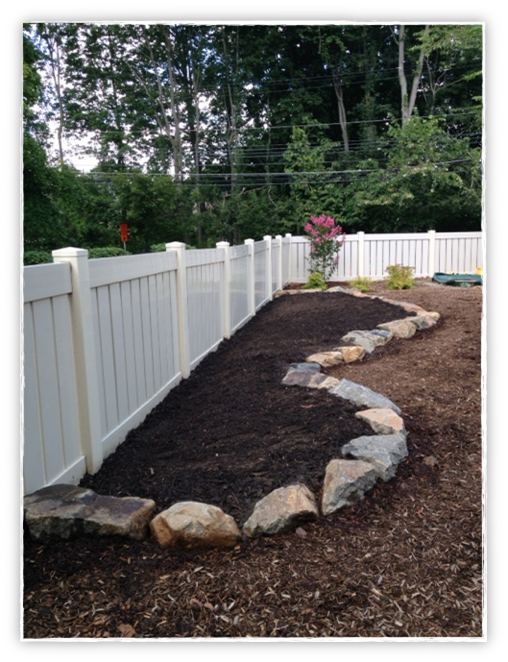 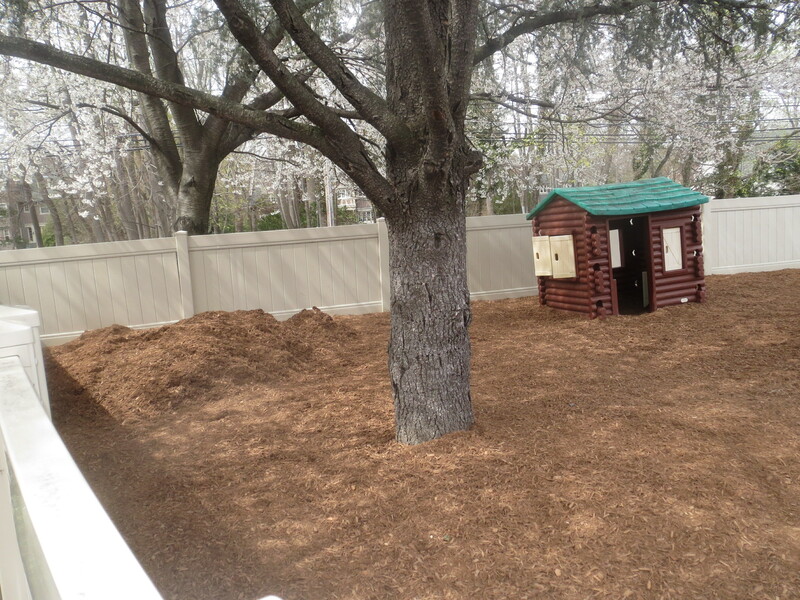 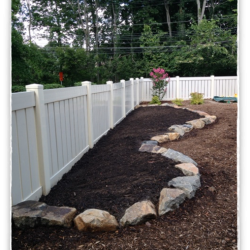 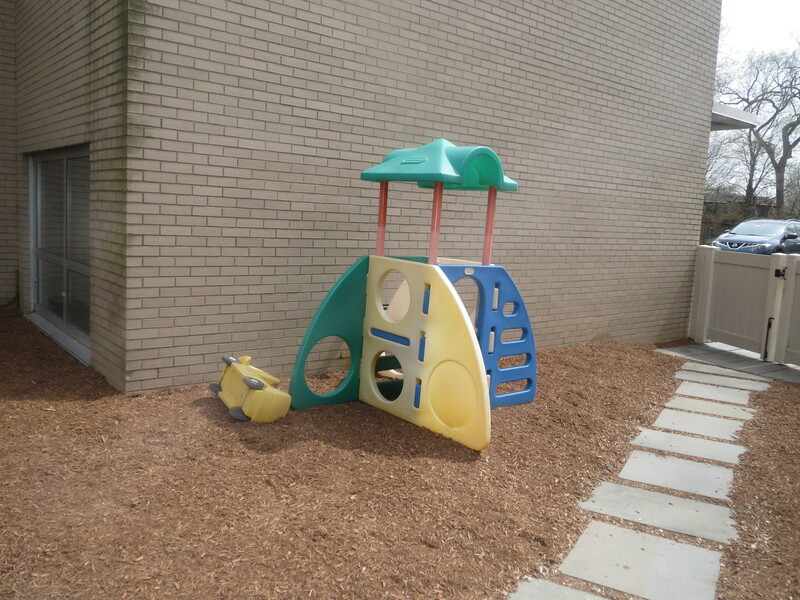 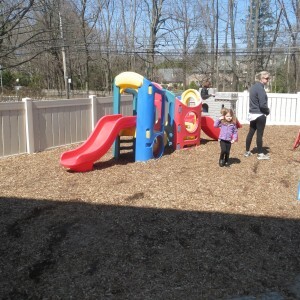 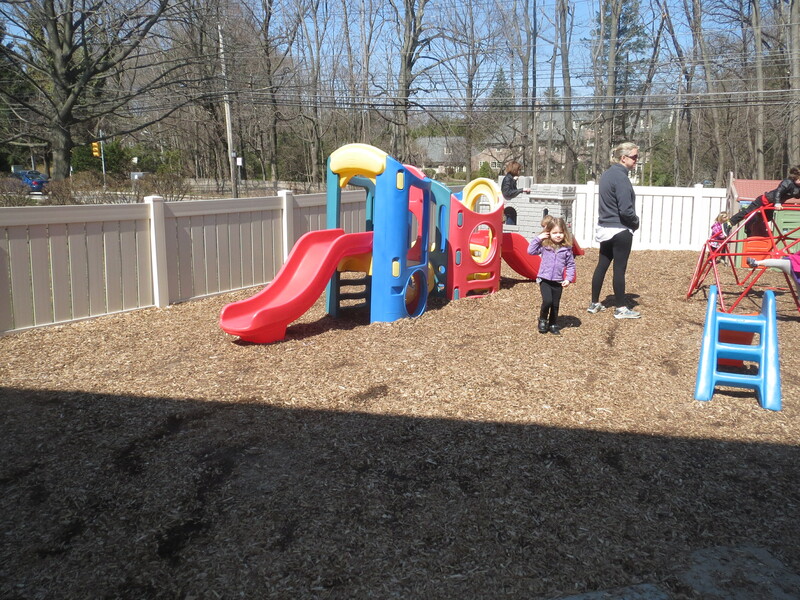 Our goal was to transform a traditional plastic and metal playground into a natural playscape. 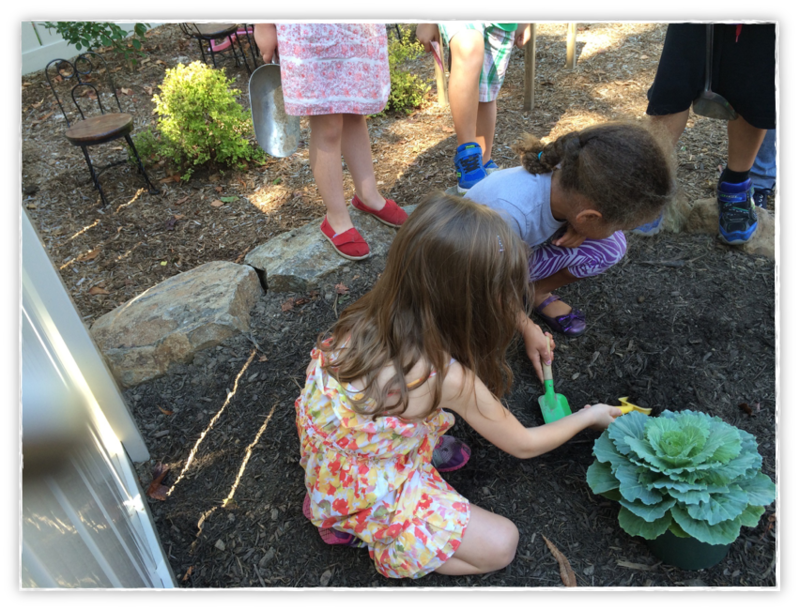 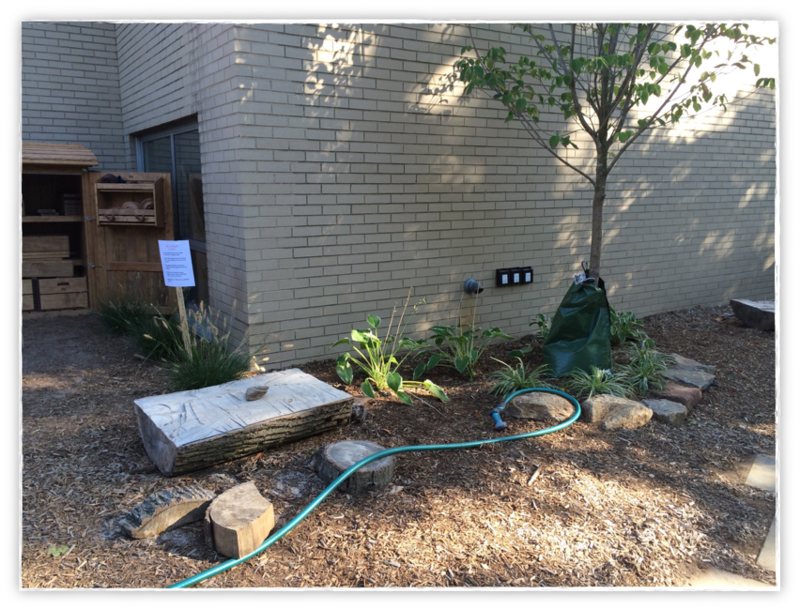 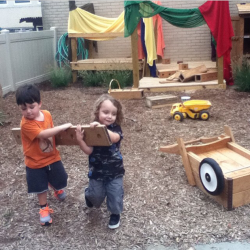 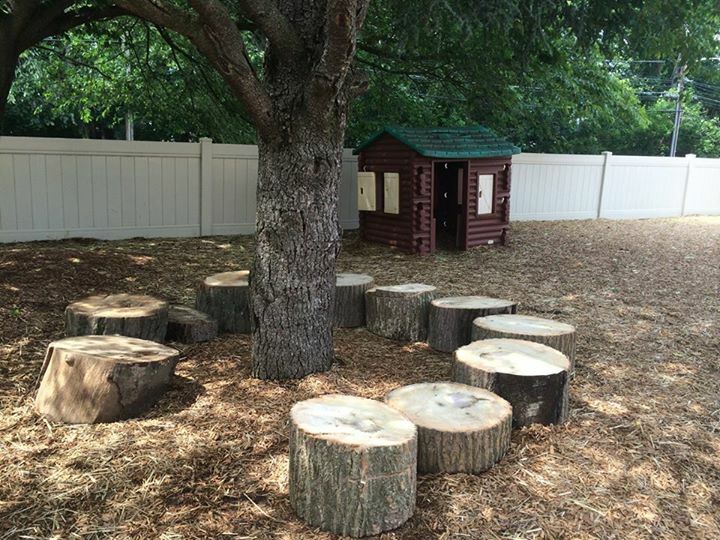 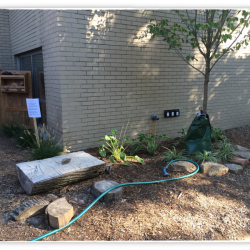 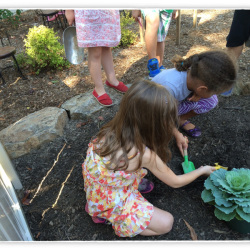 We added green space, gardens, platforms and block building space, a gathering storytime area, and a mud kitchen. 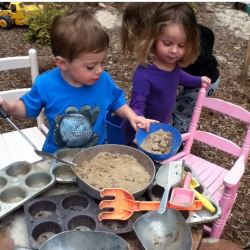 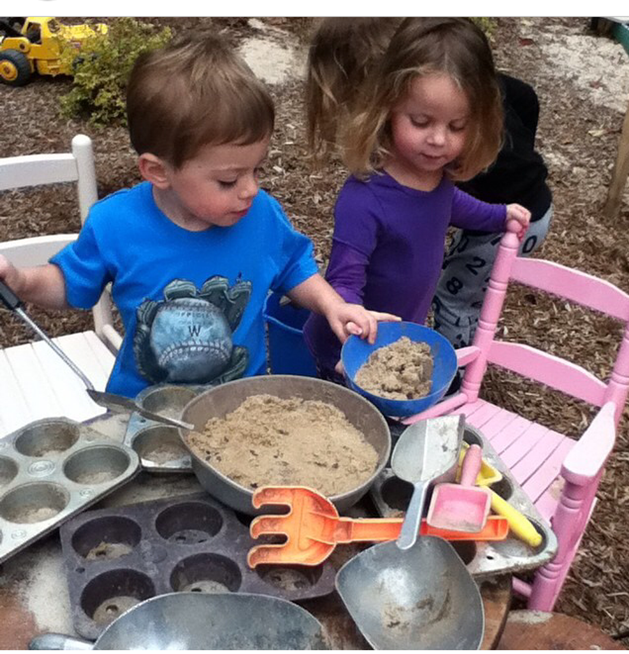 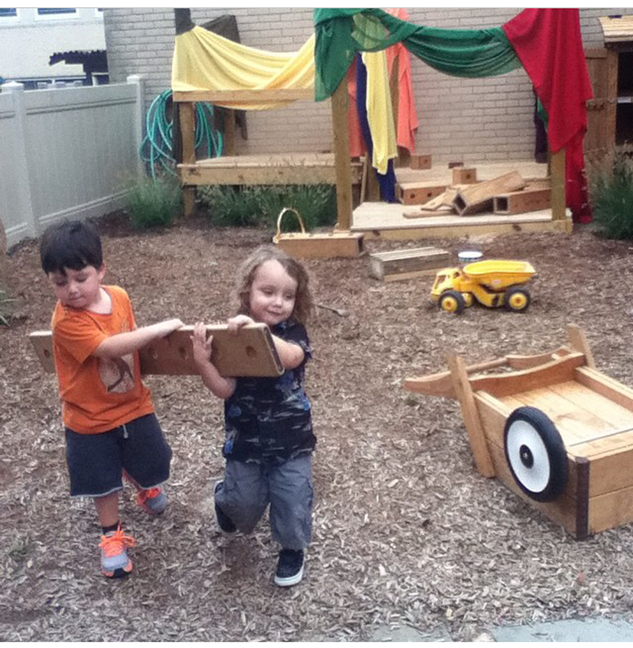 The staff reports that there is more child-initiated play, more cooperative play, more sustained dramatic play, and problem solving among the children. 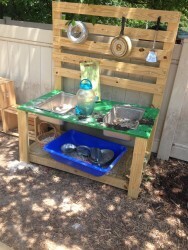 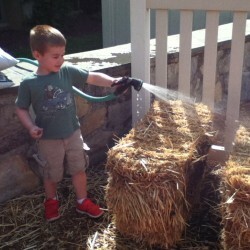 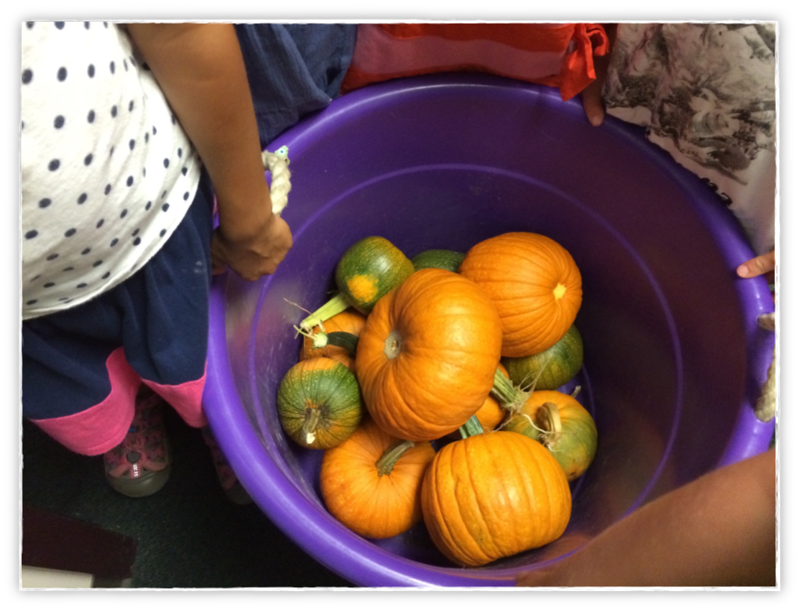 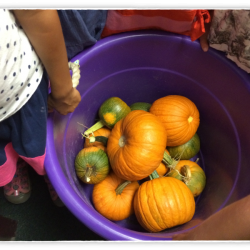 The children demonstrate a more focussed interest in the natural materials. 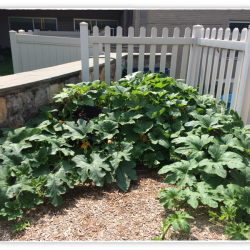 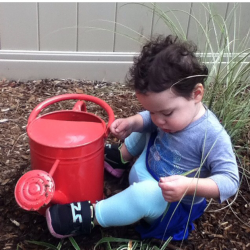 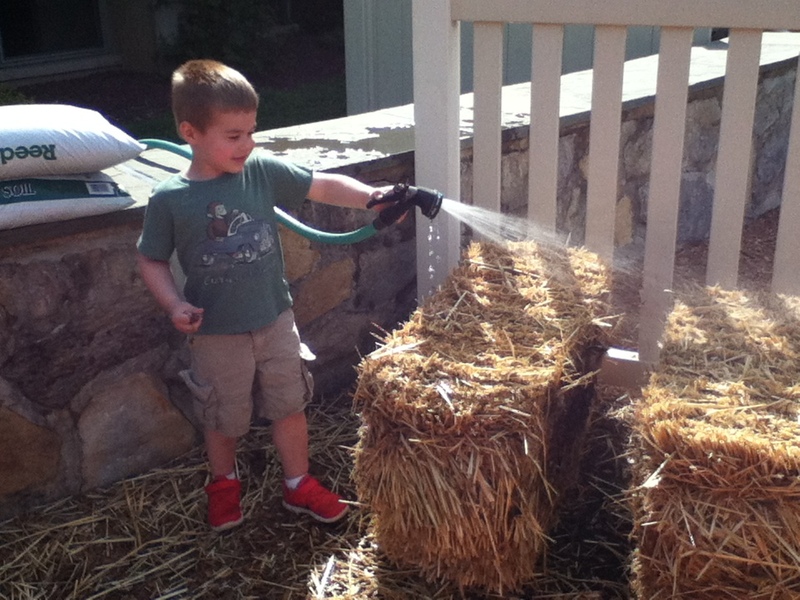 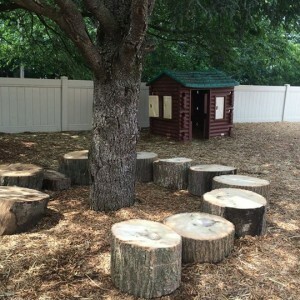 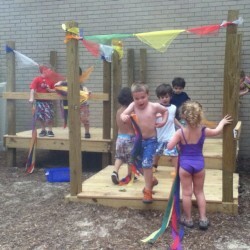 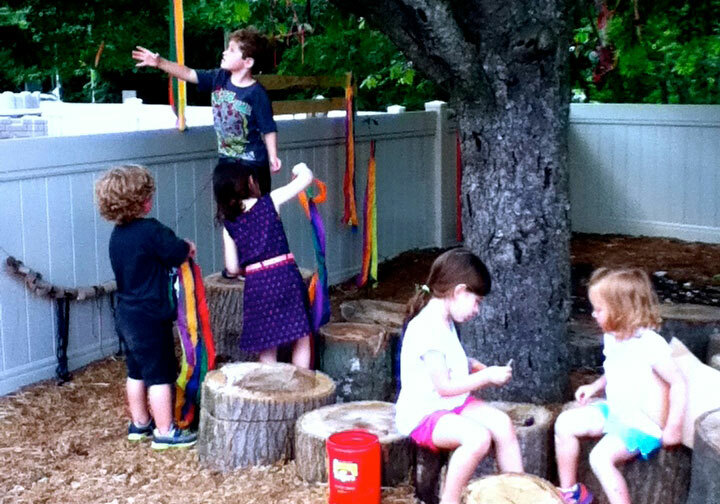 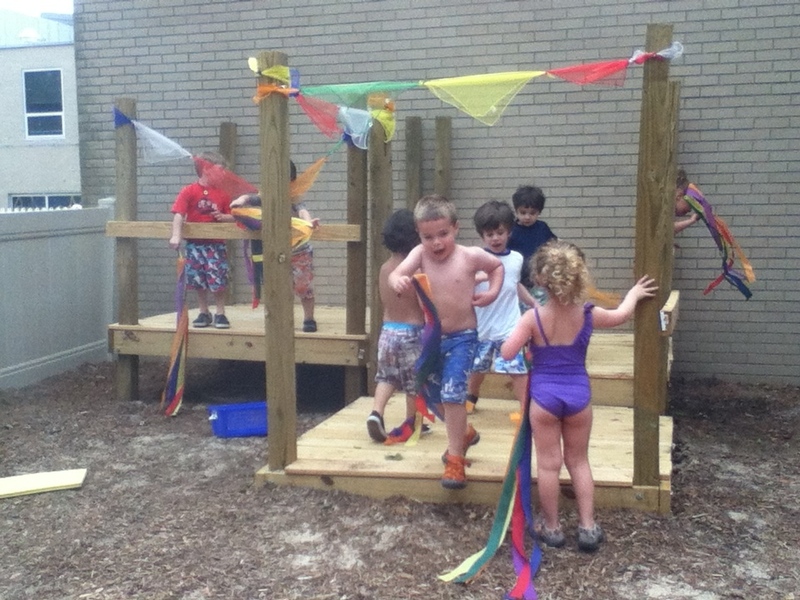 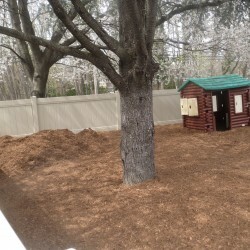 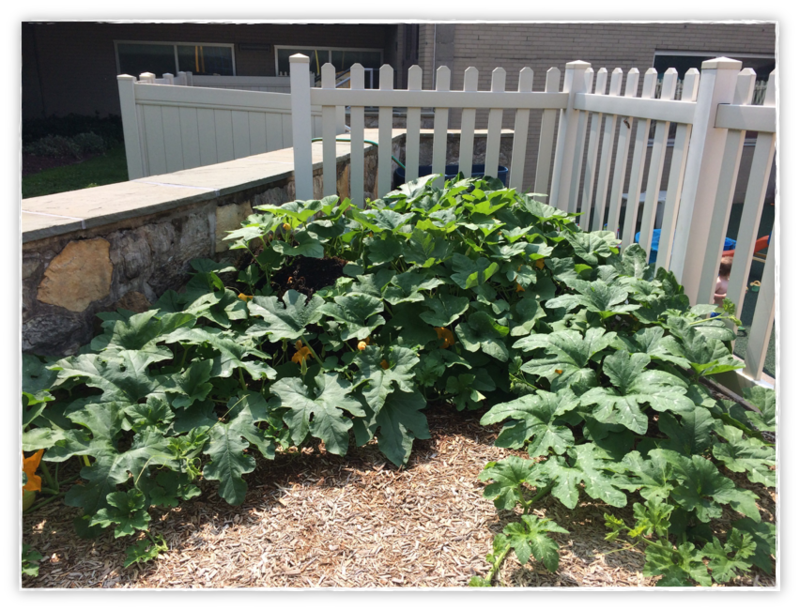 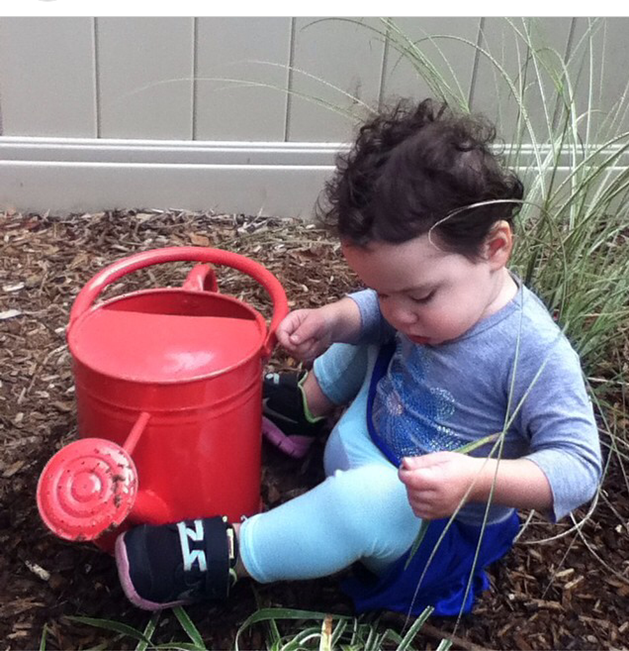 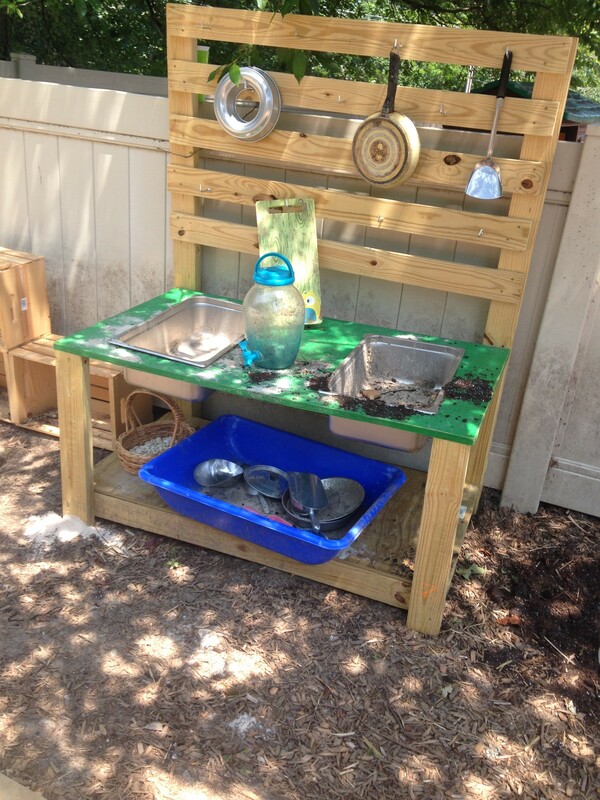 The natural playspace supports science, literacy, engineering and math learning.